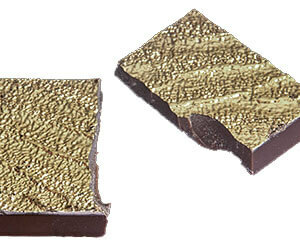 Edible Gold products, "extravagant seductive delight" the unforgettable gift. It is our pure 24 K gold and the method of application we have developed that makes us unique in the world. 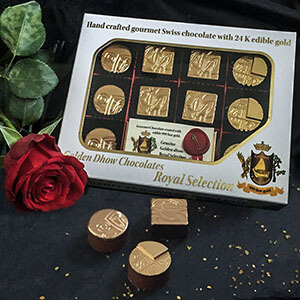 Indulge in a world of glamorous unique gold coated delights and seductive gourmet chocolate, combined to bring the ultimate in pleasure to both the eye and pallet. We know of no other company producing edible gold products that are even similar to those supplied by golden innovations. The language of gold is internationally understood. 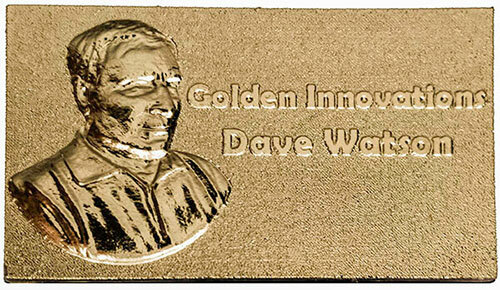 Surprise and impress: - Say it with gold from golden innovations. If you want to say “I love you”, “thank you”, “we respect you” nothing speaks louder than gold. Gold has been eaten for thousands of years look here for why. It is believed eating gold has medical benefits and this was one of the main motivations in ancient china and in medieval times in Italy. Whatever the facts are it has a potent unforgettable message. Send someone a message today or just treat yourself. nothing speaks louder than gold. for Events, Corporate gifts, Exhibitions, Weddings. Give a glamorous touch to the table or make an impression at exhibitions. All in 24K (999 Fine) gold.